An adventure through Old Town Cluj. I had no idea what to do, but I was going to go do it! I ended in Cluj, Romania and only knew I wanted to go to Salina Turda. Everything else was going to be a bonus. After some internet searching, I found a free walking tour in English so I went to the meet up point. I found Cluj Guided Tours but for some reason they took down their free tour. I’m guessing cause it’s the slow season. 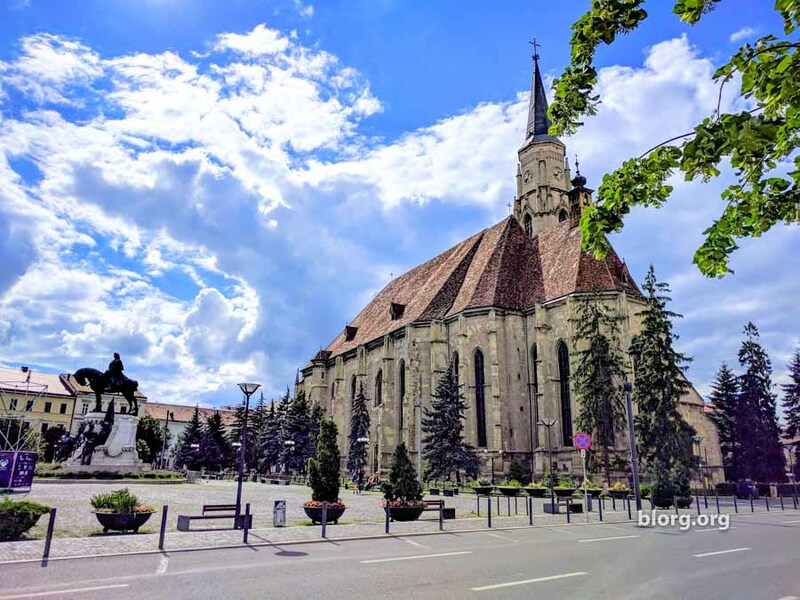 Looking for things to do in Cluj? Me too. Google maps is weird in Cluj. It showed two destinations for the town center. I picked the one with more reviews but that led me to a small park on the wrong side of town. For reference, the town center is in Old Town. That made me run late for the tour so I took an Uber to Old Town. Uber drivers were readily available, affordable and spoke English. I’ve been ripped off by taxis before so I’m very apprehensive about using a taxi. The free walking tour included me, the guide and two other tourists. It was ALMOST the smallest free walking tour I’ve ever been on. During the last World Cup, I was in Nice, France and I took a morning walking tour the day after a game. The only people who showed up was me and the guide. It was a great tour since everything was at my pace. Back to this tour, we made our way around Old Town Cluj checking all the notable places of interests. The architecture was great and it was easy to walk around. Cluj seemed like a really small city but still has a whole lot of charm. Enjoy the pictures! ⟵The Double-Star Fortress, Alba Iulia!